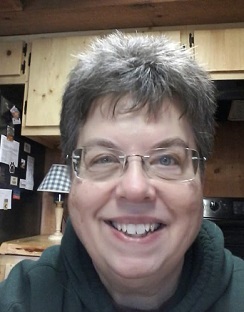 Shuttle Works Studio is located in my home, on Torch Lake, just south of Conover, WI. 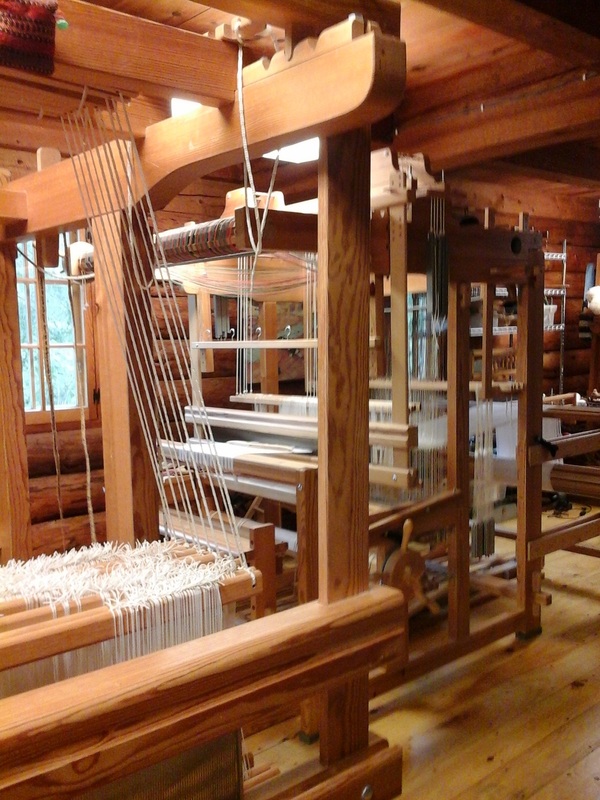 View from the CM loom. A nice, broad view of the room. 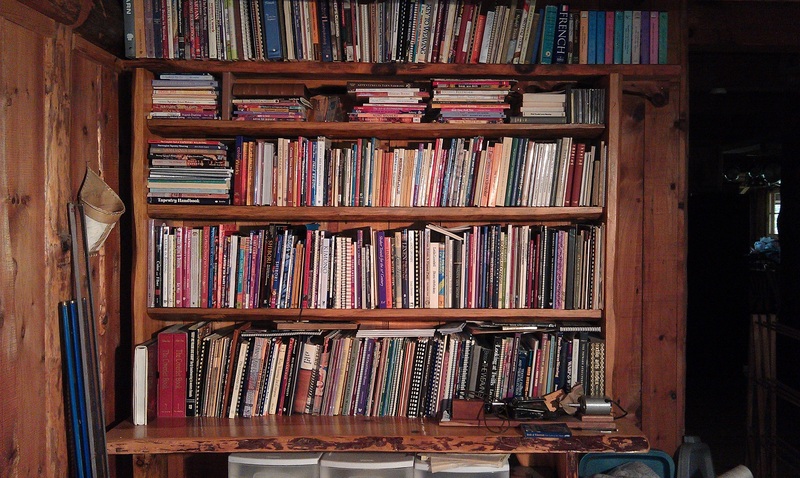 Glimakra Regina, flanked by shelf units. 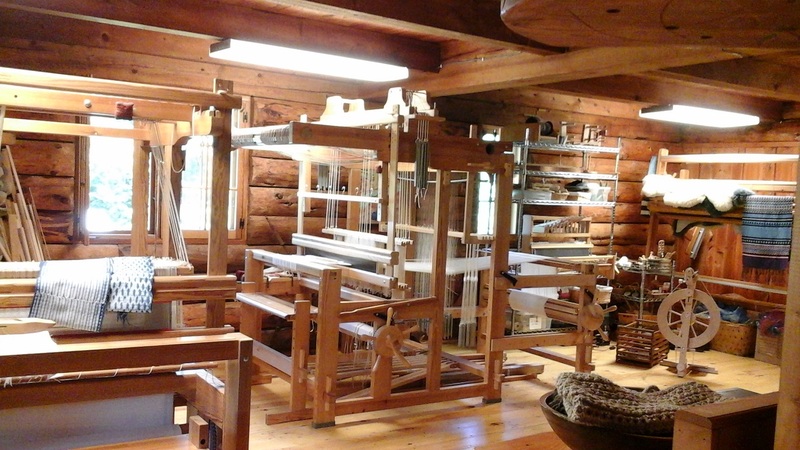 Studio view looking south to the loom where I spend a lot of time. 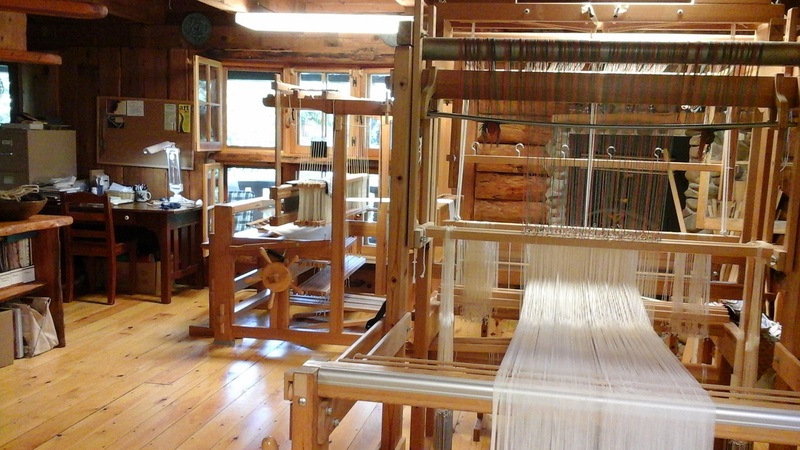 I weave on Swedish Glimakra looms including a 48″ wide 10 shaft/12 treadle countermarche loom, a 44″ wide 10 shaft/10 treadle countermarche with single unit drawloom attachment and long extension, a 60″ wide 2 shaft Regina tapestry loom, an upright “Sara” tapestry loom, a band loom, and an 8 shaft Victoria table loom. 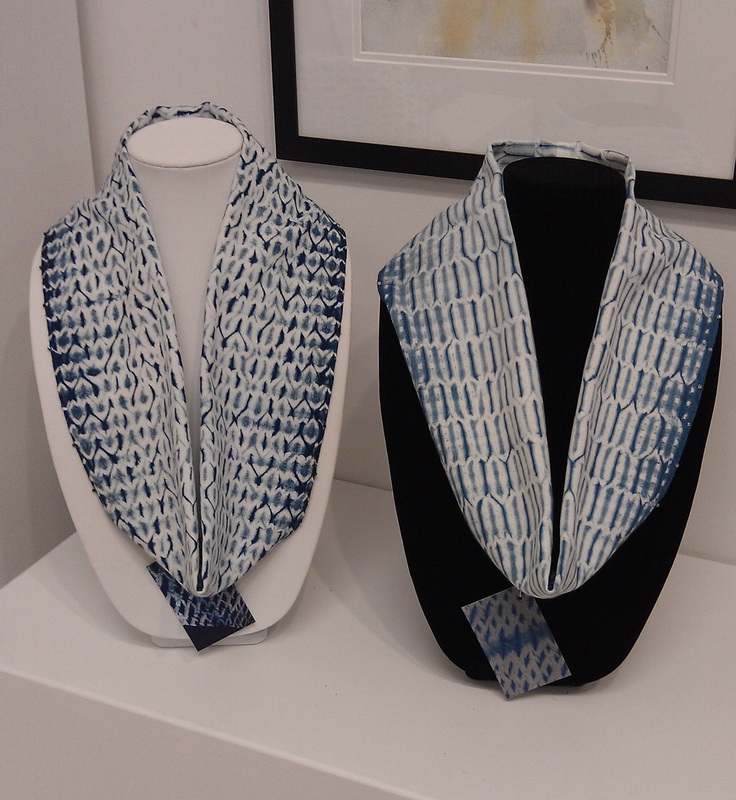 Weaving, spinning, dyeing, felting reference library. 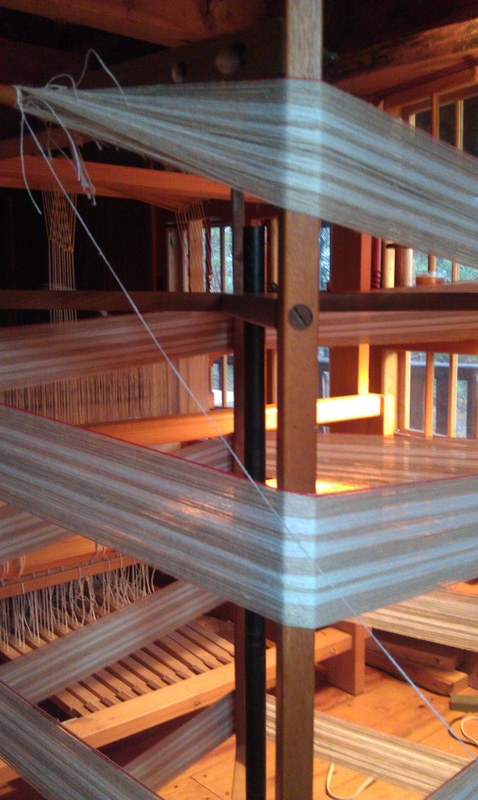 Winding a new warp on a vertical warping mill. 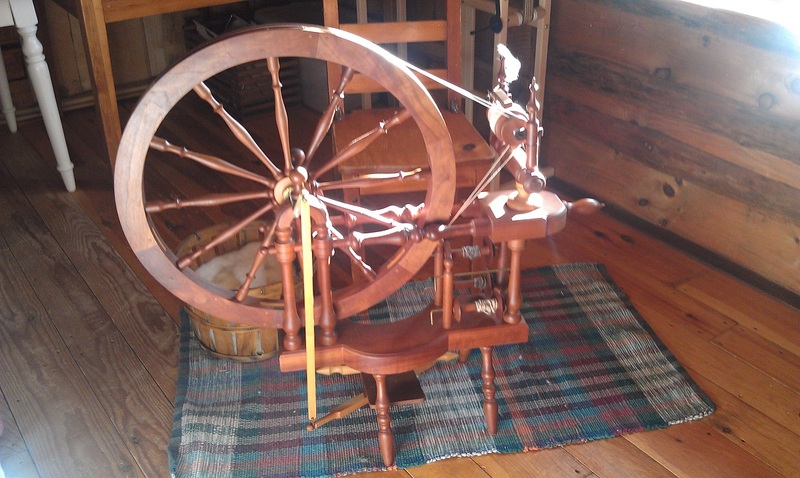 Michael Wilson reproduction of a Norwegian spinning wheel. 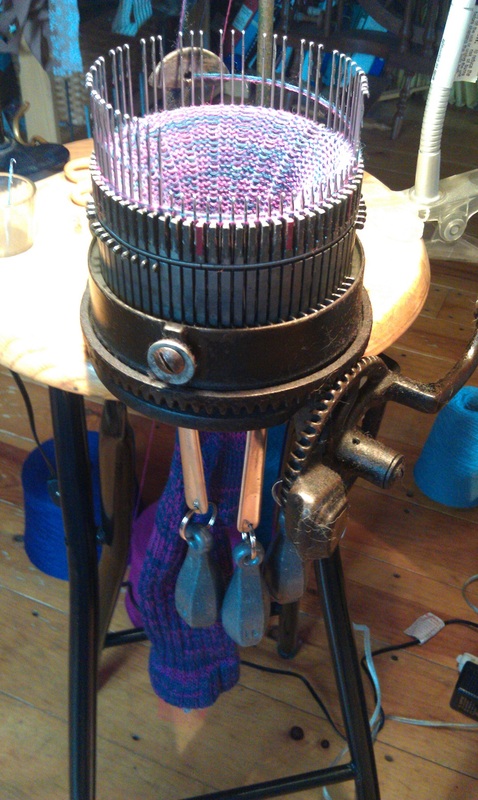 Wool socks are made on this 1908 Gearhart Circular Sock Knitting Machine. 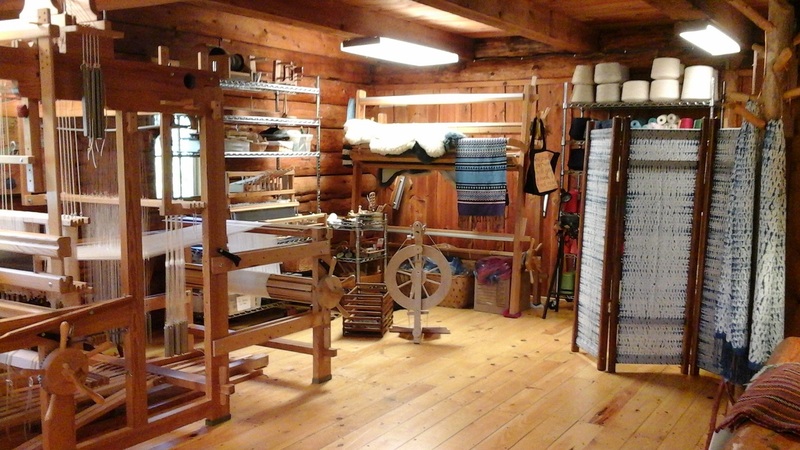 Spinning wheels, a 1908 Gearhart circular sock knitting machine, and a dye area round out my studio, and life.